Ever wonder about how to transfer iPhone bookmarks to Mac so that you can easily access to websites once saved on your iPhone from Mac? The Safari bookmark on iPhone is quite useful as it could save your favorite websites and easily navigate you to a webpage. Follow the paragraphs and you'll find the best 2 solutions to transfer iPhone bookmarks to Mac. If you use Safari on the Mac, Safari for Windows, or Internet Explorer on the PC you can sync bookmarks on iPhone with iTunes on your computer. 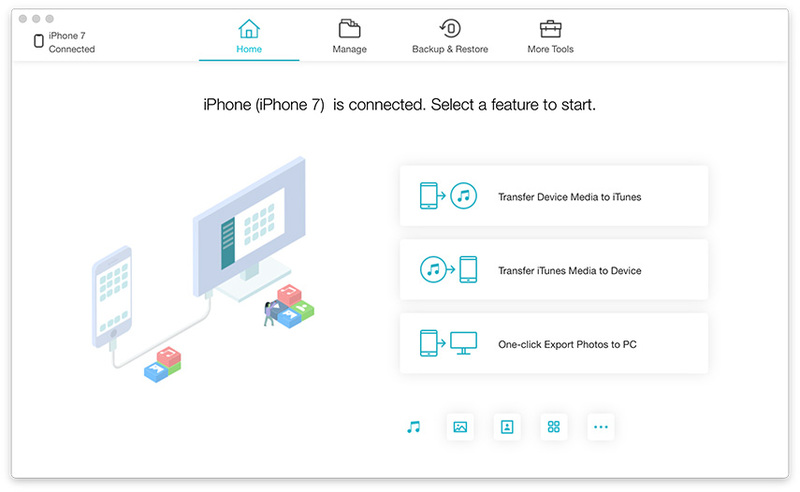 If the bookmarks you want to transfer are deleted from iPhone by mistake, try to use iPhone Data Recovery for Mac to complete the transfer, which will be explained in Solution 2. 1). Connect your iPhone to Mac and launch iTunes. Once the device appears in the iTunes menu, select your iPhone and begin to organize bookmarks synched directly with your computer and any default browser (Safari is the default web browser for Mac). 2). Select the Info button at the top of the screen in iTunes. 3). Scroll down to the section marked "Other" and you will see a checkbox next to sync Safari bookmarks. Checking this box will initiate the sync and allow you to copy iPhone bookmarks to Mac. 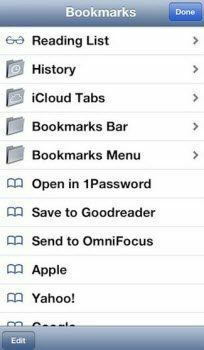 It's reported by many iPhone users that the Safari bookmarks are just missing from iPhone for no reason. Or iPhone is water damaged, gets a black screen, which renders it impossible to import iPhone bookmarks to Mac using iTunes. In this case, you could resort to iPhone Data Recovery for Mac which allows you to transfer to Mac even without iPhone at hand. For Windows users go to iPhone Data Recovery. 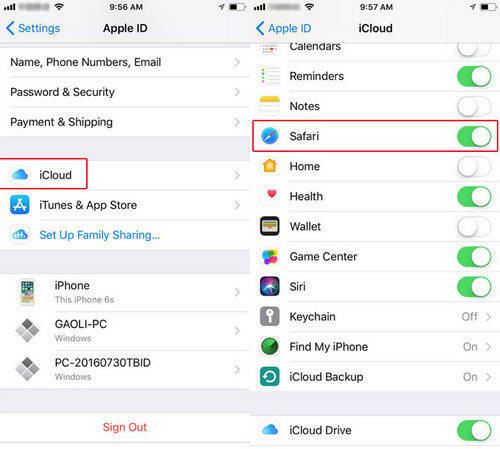 To achieve this, you need to have a recent iPhone backup on Mac and follow steps below. 1). Launch iPhone Data Recovery for Mac on your computer and select "Recover Data from iTunes Backup File". 2). The program will automatically find all iTunes backup. Select the iPhone backup you need and scan for bookmarks you need. 3). Preview, check needed bookmarks and then copy iPhone bookmarks to Mac by clicking "Recover". A: If you have your iPhone at hand, iPhone Data Recovery for Mac can also transfer bookmarks from iPhone to Mac directly from iPhone like that described in solution 1. B: Alternatively you can also try to use iPhone 5 Data Transfer to transfer files from iPhone to computer. This professional iOS transfer utility allows you to transfer data between iOS devices or between iOS devices and iTunes as well. My Bookmarks are listed in the order that I created them. Is there a way to reorganize them? Is there a way to "group" them into groups such as News, Entertainment and Health? To answer the question above, you should know that on iPhone, you can hit the "Edit" button in the bottom left corner to delete (red circles on the left) and re-order (stacked lines on the right) your bookmarks in Mobile Safari. Once in Edit mode, you can also create new folders or groups to sort different websites. With the tips in this article, guess you must know pretty well about iPhone bookmarks. Try to organize iPhone bookmarks and transfer bookmarks on iPhone to Mac with iPhone Data Recovery for Mac and enjoy the process!